I have recently taken on some new client which means I have to be even more organised than before. This of course meant I needed a noticeboard above my desk! 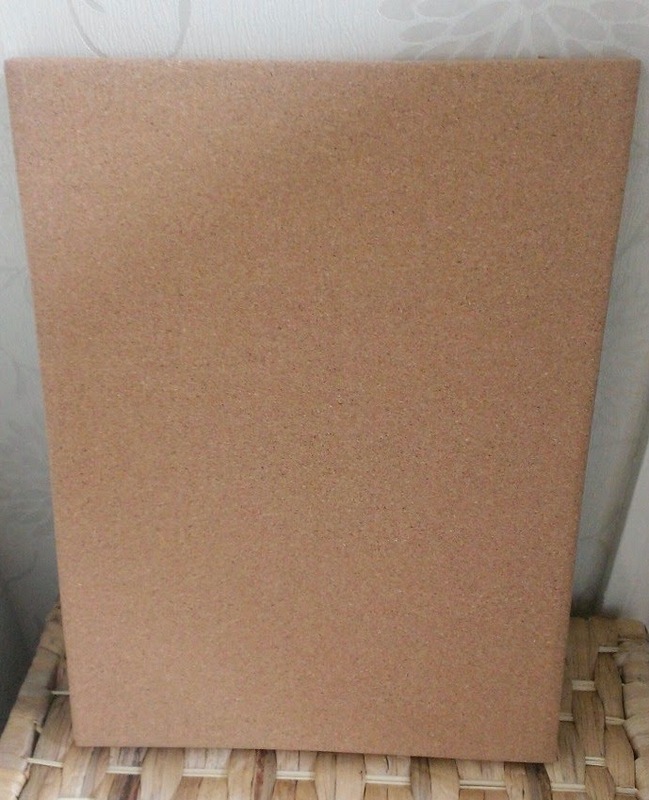 I bought a really cheap cork board from Wilkinson and decided I would pretty it up as really nice boards can be very expensive. 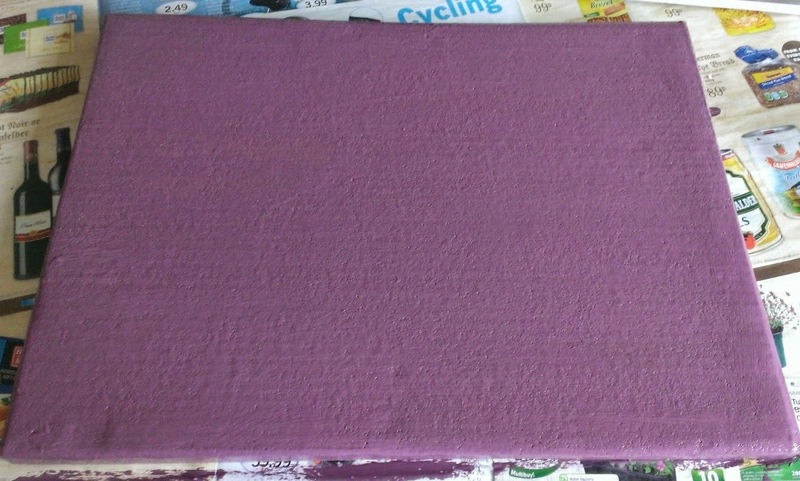 While I was there I bought a tester pot of paint in a scrummy dark purple to match my office curtains. First job was to paint it. The brilliant thing about the tester pot is it came with its own brush so less mess. Once it was dry I glued these gorgeous wooden buttons I got from ebay around the edge. I lined them where I wanted them to go first and then hot glued them on. I loved the finished look but it still needed something else. 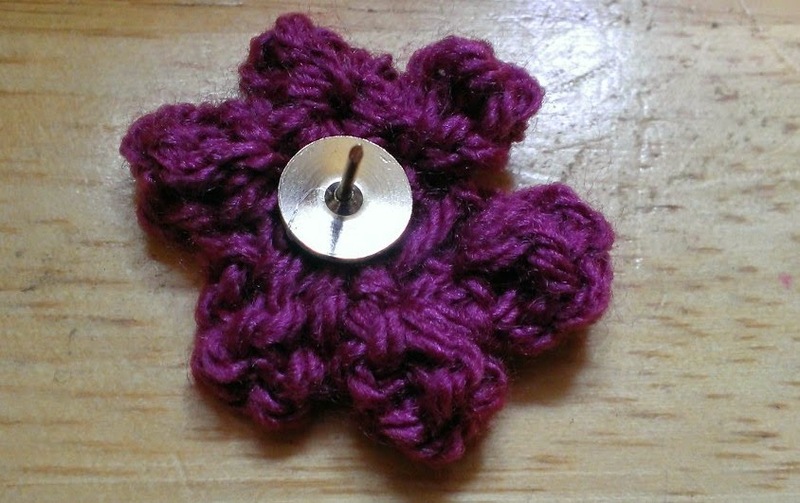 I had some crochet flowers I made using a pattern from Simply Crochet so I hot glued them to some drawing pins and I think they look really good. 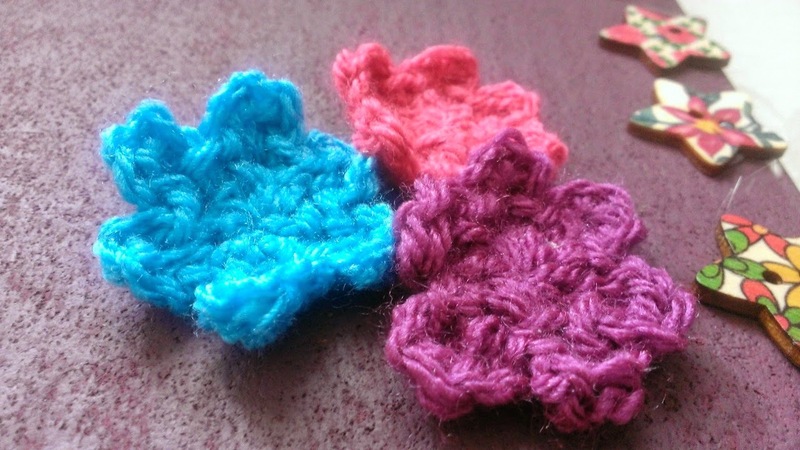 I only have three so far so need to make a few more I think I will do some hearts as well. 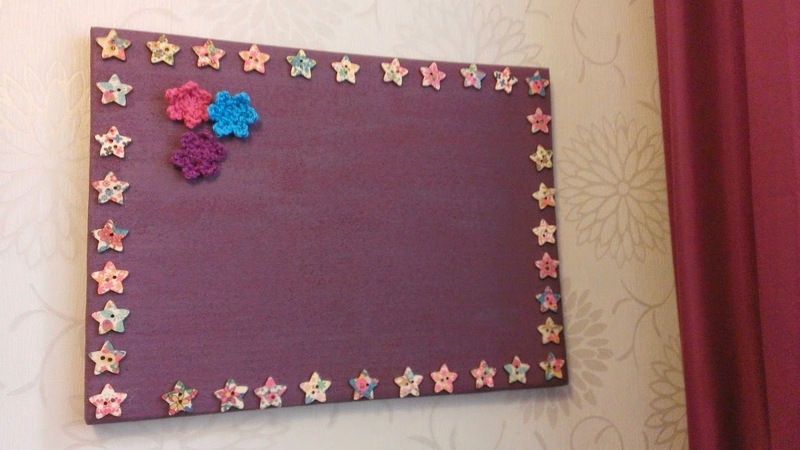 This is my finished notice board. What do you think? I still have some buttons lefts not sure what I am going to with them yet. As I had paint left over I gave some branches a once over. Watch this space to see what I do with them! It's lovely! very creative and so much nice than boring brown cork ;) Look forward to seeing what you have done with the rest of the paint.